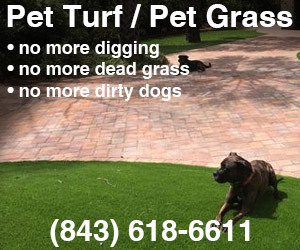 Mt Pleasant pets deserve the best! If you live East of the Cooper, it just got easier for you to take care of your four-legged family members. The National Football League’s 2018 Super Bowl was one of intense rivalry as the Philadelphia Eagles took on the almighty bowl veterans, the New England Patriots. Competition and excitement were in the air as fellow Americans chose their sides and witnessed one of the nation’s favorite pastimes. Although it was an amazing and very close game, this year’s Super Bowl was undoubtedly the second best bowl game of the year. Face it: The game lacked cuteness, personality and most importantly, fur. 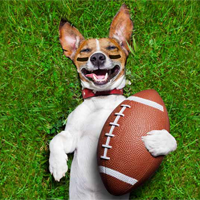 Neither the Eagles nor the Patriots can ever hope to be able to pull at the heartstrings quite like a bunch of puppies, especially those diminutive canines at this year’s Charleston Animal Society Puppy Bowl. Partnered with Mount Pleasant Towne Center, the Charleston Animal Society hosted a thrilling game of adorability Feb. 3, as available puppies took the field in their very own championship game. Elena Lawson, the director of special projects and business partnerships with the Charleston Animal Society, had the idea one night while watching “Animal Planet.” After bringing her idea to fruition, the Puppy Bowl has simply grown in numbers and popularity over the past three years as people from all over the Lowcountry have traveled to Mount Pleasant to find their familial companions. This year’s game included 23 “pupletes” who fearlessly charged the field. Knowing that the stakes were high, the pups ran, kicked, chewed and played their hearts out, leaving it all on the field and enticing the crowd to cheer and adopt. The field was flooded with puppies of all mixes and sizes, donning their jerseys and monogrammed bandanas. They all competed in the 2018 Puppy Bowl, exhibiting their talent, athleticism and winning personalities. Their performance, along with their charm, enticed the crowd to gawk, cheer and give all 23 champions their forever homes. The Charleston Animal Society partners with many businesses and organizations throughout the year to host various adoption events. However, the Puppy Bowl is always among their most successful events. 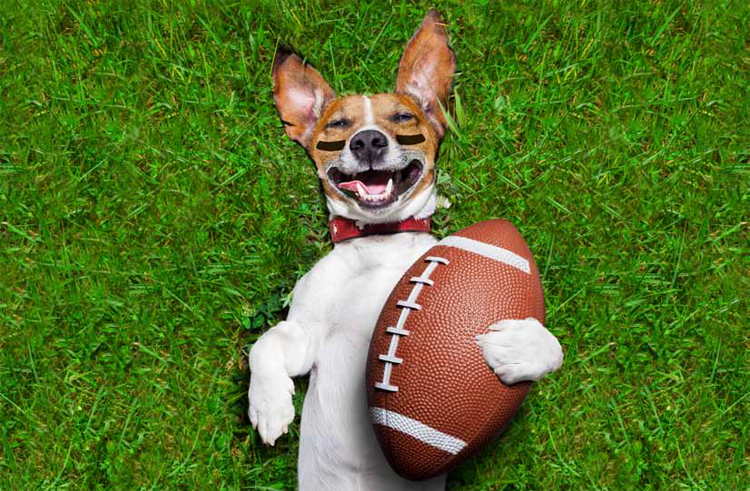 The Puppy Bowl is not just for the puppies; it is also a fun family day with games and activities for all to enjoy. The Charleston Animal Society, along with other sponsors and participants, strives each year to make the Puppy Bowl more than just an adoption event. Instead, they have created a fun, family-centered day that helps raise awareness along with money for a worthy cause. This year, the Charleston Animal Society raised $6,116 for the shelter, and all 23 puppy participants won the gift of a lifetime – their own loving furever homes. The Eagles may be going to Disney World, but these puppies get to go somewhere even more magical: home. Hairy Winston – Who Let the Dogs In?